Zetor Hortus are compact and universal tractors equipped with powerful and economical engines which, together with optimum weight of the tractor, guarantee high power under all conditions. 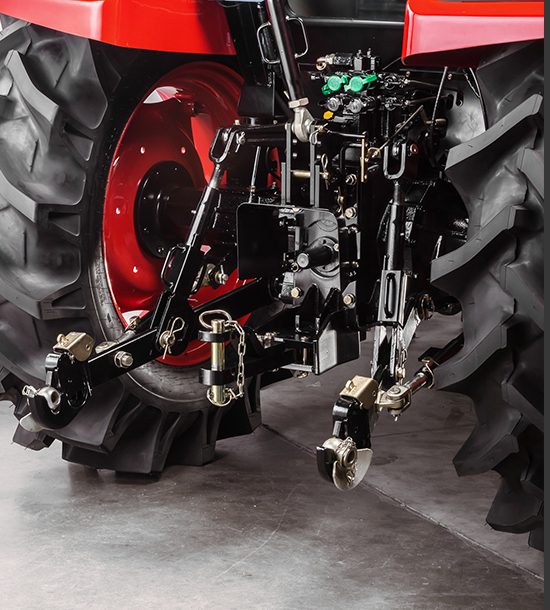 Zetor Hortus models have been designed to offer maximum reliability and meet strict requirements while providing long durability of the tractor. The combination of excellent manoeuvrability, low fuel consumption and affordable prices of service make Zetor Hortus tractors effective and universal machines. New Zetor Hortus represents utility tractor which is ideal for Work at small farms, municipality, parks and gardens, sport Facilities and for many other purposes. Zetor Hortus is able to fully use its power thanks to the best possible combination of the engine performance and weight. 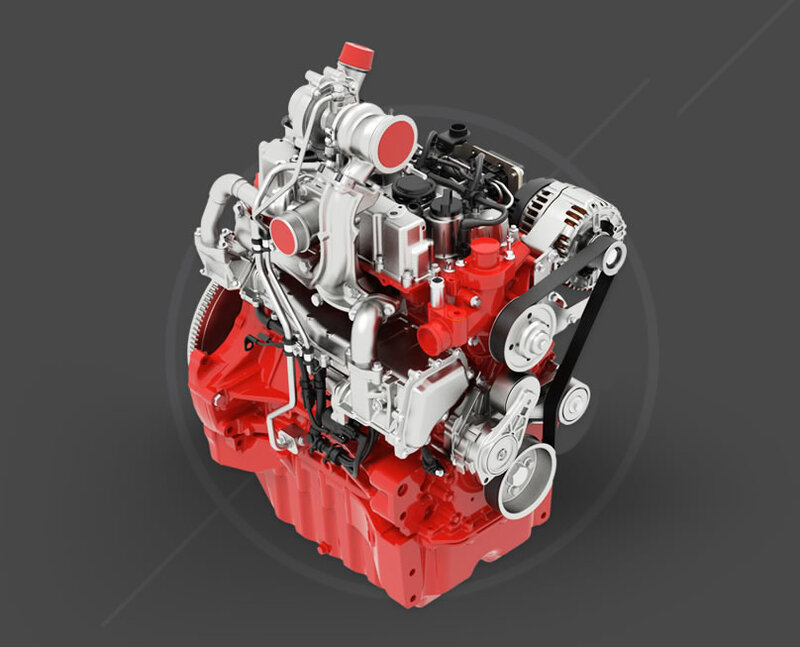 The engine with the power of 67 HP with Common Rail injection system is outstanding for its low fuel consumption, reliability and simple construction. With a 70 liter tank, the Hortus is ready for many hours of use on the field before the next refuel. Hortus transmission offers 4 main speeds and 3 ranges with an additional creeper gear for a total of 24 forward and 24 reverse speeds, enabling you to select the right speed for your work needs. Hortus CL offers mechanical reverser, Hortus HS is equipped with hydraulic reverser (Power-Shuttle), which brings better comfort for your daily work. Category II hitches with a hitch lift capacity of 1,937 kg and two standard rear remote valves allow Hortus to be equipped with a various assortment of rear implements. The cabin is both spacious and ergonomic with conveniently located levers, joysticks, and controls. The cabin is equipped with air condition. The digital instrument panel provides a clear display for reported signals, gas usage, as well as speed (rpm). 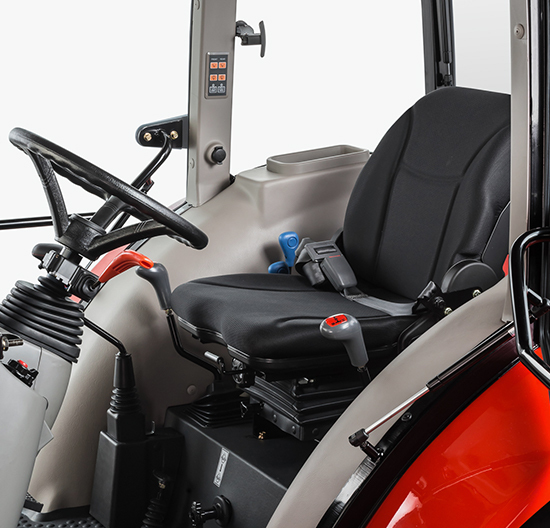 The suspended seat keeps the operator vibrations to a minimum, while providing a comfortable and spacious seating area. 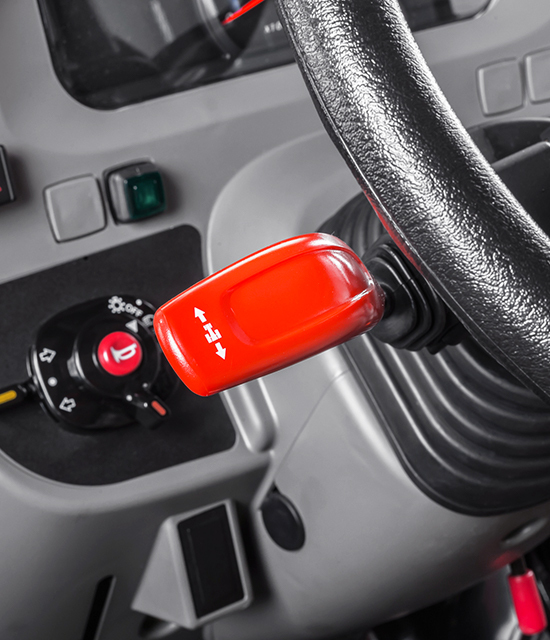 Get the full functionality out of your front end loader with an easy to use, conveniently located joystick. Do you like this tractor? Get to know the quality of Zetor tractors by taking a test drive! We will arrange it for you with your nearest dealer. I am a Zetor tractor owner I agree to the processing of personal data.